“Fresh from a triumphant star turn the night before as Maria de Buenos Aires, damn if Elise Quagliata didn’t score another knockout performance with her acerbic, self-effacing Countess Charlotte. Ms. Quagliata not only made the long-suffering wife all too human, but she delivered every one of her scripted comedic zingers with laser accuracy. Moreover, Elise sang the part with a vibrant, plush mezzo that was richly sympathetic. "As the title character, Ms. Quagliata rightly stole the show, her vocally and physically nuanced portrayal vividly conveying the evolution of the character from betrayed wife to back-stabbing Hollywood journalist." "Mezzo Elise Quagliata had the title role in the piece, in a totally go-for-broke performance. The role is a showcase for a high-energy singing actor and she excelled at both sides, bringing out the ugliness and comedy of the piece with her wonderfully earthy voice. (It was no surprise to read that she's a well-traveled Carmen.)" "But the evening belonged to Elise Quagliata's Mrs. Hopper. Her vibrant energy stood in sharp contrast to Edward's stolid obsessiveness, and she wore her '30s gowns and flamboyant hats with panache. Her breathless monologues were each a tour de force, and her dancerly movement added to her character's vitality." "Mezzo-soprano Elise Quagliata sings the title role in this production, combining a fierce charisma with vocal finesse. She commanded the stage with apparent effortlessness on Saturday, and her acting and dancing skills were on par with her singing." "Elise Quagliata sings Sister James, and she captures our hearts. This innocent is caught in the conflict between her superiors, and Ms. Quagliata makes her moral torment heart-breaking." "Equally impressive is UAO veteran Elise Quagliata as the conflicted Sister James. She's a talented singer and seems equally comfortable with both the standard repertoire and newer works. As she did in UAO's Dead Man Walking back in 2011, Ms. Quagliata demonstrates that her clear and fluid mezzo voice comes paired with solid acting skills." "...Elise Quagliata contributed an excellent performance as the compassionate nun. Her interpretation was passionate yet sung with exceptional technical finesse: she maintained a rounded vocal quality throughout an impressive dynamic range." "Composer Jake Heggie has made the pivotal role of Sister Helen Prejean a huge 'sing.' It ranges from simple, floated folk tunes, to urgent conversational exchanges, to pointed wisecracks, to punishing emotional outbursts, to stinging dramatic force required at both extremes of the range. Librettist Terence McNally has compounded the challenge by scripting a torturous emotional journey that requires elements of extreme restraint, steady growth to understanding, and utter abandon to a raw transformation and spiritual bonding. In Elise Quagliata, the creators may have found their most powerful Helen yet. Her luminous voice made every moment count, with a powerful, tireless mezzo displaying a rich, amiable tone of unbelievable stamina. Ms. Quagliata could hurl out climax after climax, one topping the other for searing intensity, then just as easily she could turn on a dime and scale back to a haunting whisper. The palette of vocal color Elise brought to the drama was staggering, from the sunlit joy of the opening scene to the final unaccompanied lines, mere wisps laced with unconditional love after Joe's execution. This was great vocalism with limp, effortless delivery that was always deployed in committed service to the character. Truly memorable." "As Sister Helen, the New York mezzo-soprano Elise Quagliata is forthright, a can-do gal in a plain skirt suit and sensible shoes. But her heartfelt singing reveals much deeper qualities within – vulnerability, fear, guilt and almost dizzying bouts of doubt." "Elise Quagliata fielded an adorable Olga who moved with a dancer’s grace and deftly essayed the requisite low notes." 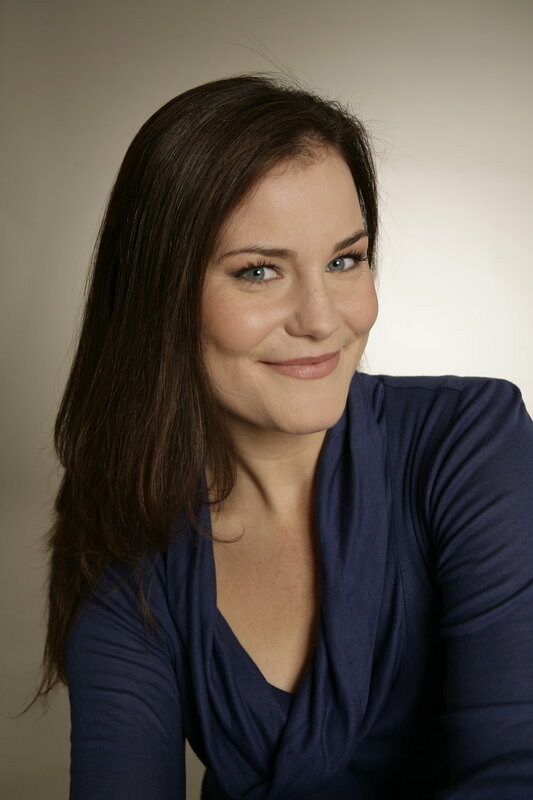 "Mezzo Elise Quagliata, who debuted here in 2005 in “The Tales of Hoffman,” sang Tatyana’s lively sister Olga with freshness and a pretty gleam in her voice." "Mezzo-soprano Elise Quagliata is a superb singing actress as well. Her Fricka is an astute lawyer in goddess's clothing, wielding her rich voice with intelligent delivery, to great effect." "What’s certain is the wide array of beautifully articulated voices in this production. Elise Quagliata’s mezzo-soprano soars as the angered Fricka..."
"Still, this reduced "Walküre" packs a considerable punch, thanks largely to some heavy-duty Girl Power in the cast. Amber Smoke (Sieglinde), Elise Quagliata (Fricka), and Alexandra LoBianco (Brünnhilde) are all outstanding, with powerful voices and well-defined characters. Ms. Quagliata is the same powerful presence she was in "Rheingold." "Vocal honors in this production must go to Alexandra LoBianco and Elise Quagliata...Quagliata finds the humanity in Fricka's indignation and brings remarkable drama to narrative passages that could seem dry otherwise..."
“The sultry Elise Quagliata is one of the finest Carmens I’ve ever seen—and remember, the role has been sung by the likes of Denyce Graves and Julia Migenes-Johnson, who set a high standard indeed. Quagliata certainly hearted up the stage on Sunday, and what this stunning mezzo-soprano lacked in power she made up in tone and vocal dexterity. Her body language was extraordinary; this Carmen was in control long before her famous “Habanera”.